Where do I start? For one thing, it would not be true to say to you that I have sacrificed to the point where it hurts, because that is how I define sacrifice. It must hurt to be a true sacrifice. It is true that we have went to extraordinary measures to build this company, but I wanted to do it and fortunately the wife gave me her support. Mary is the one who has truly sacrificed, and she did it for my passion not her own. Time is the biggest thing given to this kind of venture. 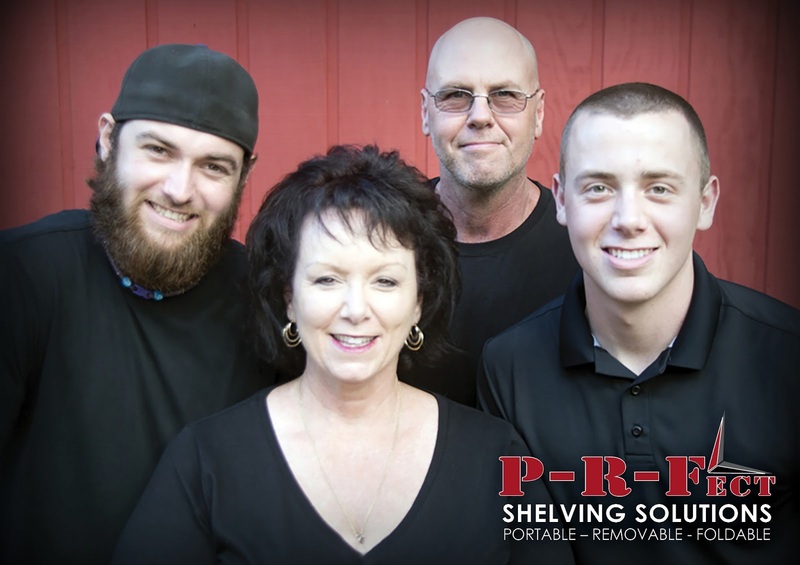 PRF Shelving was built while working a full time job for thirteen years, the last five being the most intense. I worked, and still do, countless hours - from the time I get up until the time I go to bed - however I had to learned to listen to my body and heart when it was time to quit for some down time. I know exactly when to stop; things begin to go bad instantly if I do not. We once had an order of eight 10 foot units for a Fedx contract driver in Illinois and he wanted them as soon as possible. It was the largest order up to that point and I was excited and willing, but terrified as well. It was me and my two sons who had to build them and ready them for shipment. I promised the truck owner 4 weeks. My two boys both had and still have part time jobs and are in college full time, my oldest for Aviation safety and A/P Aviation Maintenance and my youngest Commercial Aviation Pilot training. In four weeks, the 8 units were completed and shipped to the truck owner. There were times when I got up two or three hours early to weld, go to work, come home and eat, and weld more until an hour before going to bed. The day began at 1am and ended at 7pm. The boys never complained and helped me through out the order, even working in the rain under a tent in the back yard prepping the units for shipment. That is what it takes some times when you commit to something. I am so thankful to all three of them and their sacrifices!